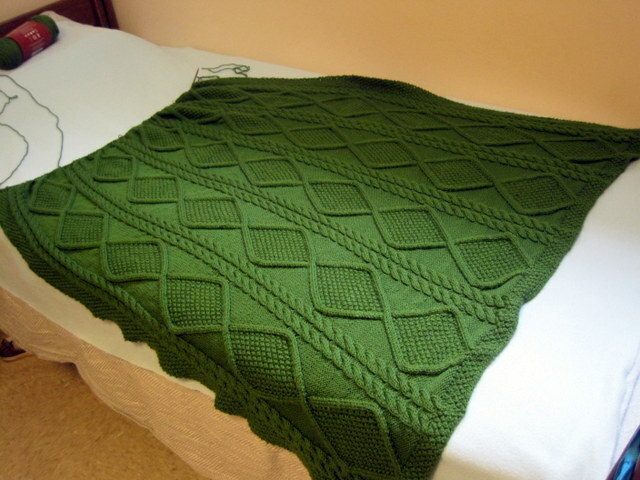 After almost a year and a half, I finally finished knitting this green acrylic cabled blanket. I previously blogged about it here here and here, and here‘s the Rav page for it. Now, to start a second blanket in the same yarn. Um, I think I’ll wait until after the Ravellenic Games are over for that! 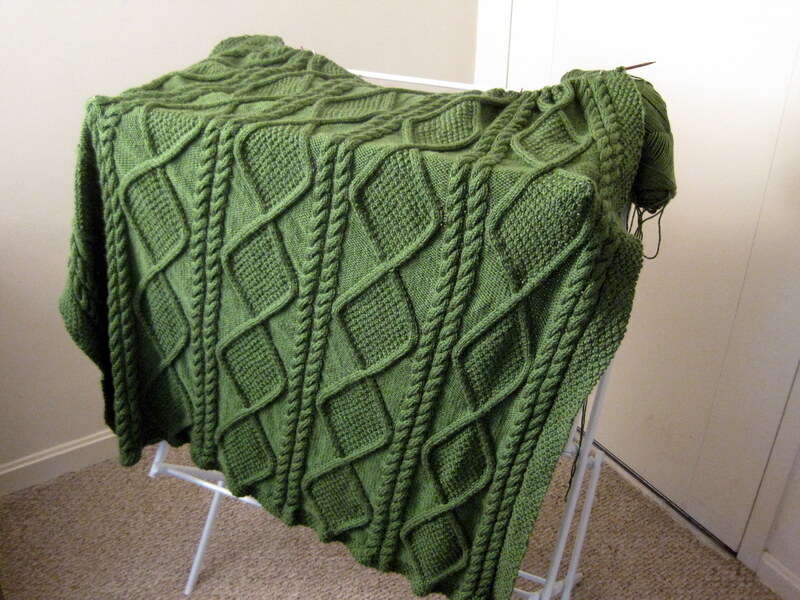 And probably pick a much easier pattern, preferably involving miles of garter stitch. 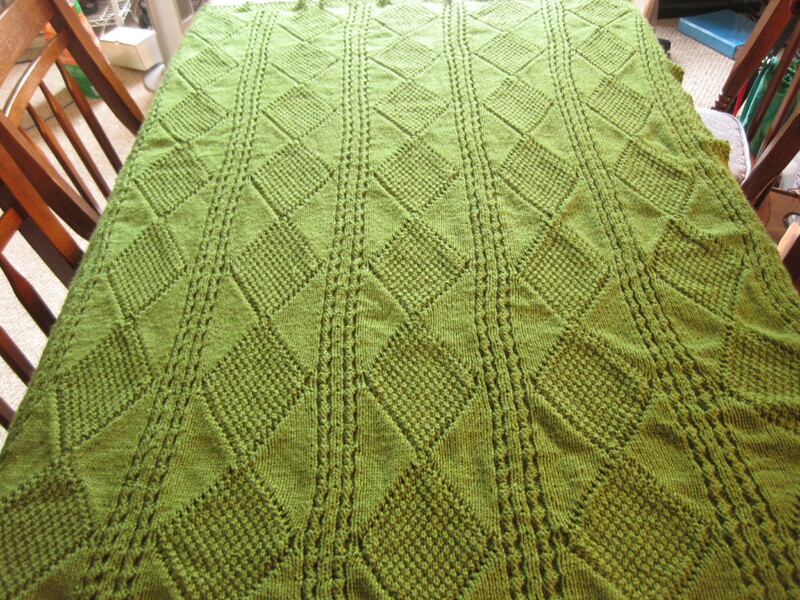 A day off and an audiobook, and I am soo close to finishing this green blanket. 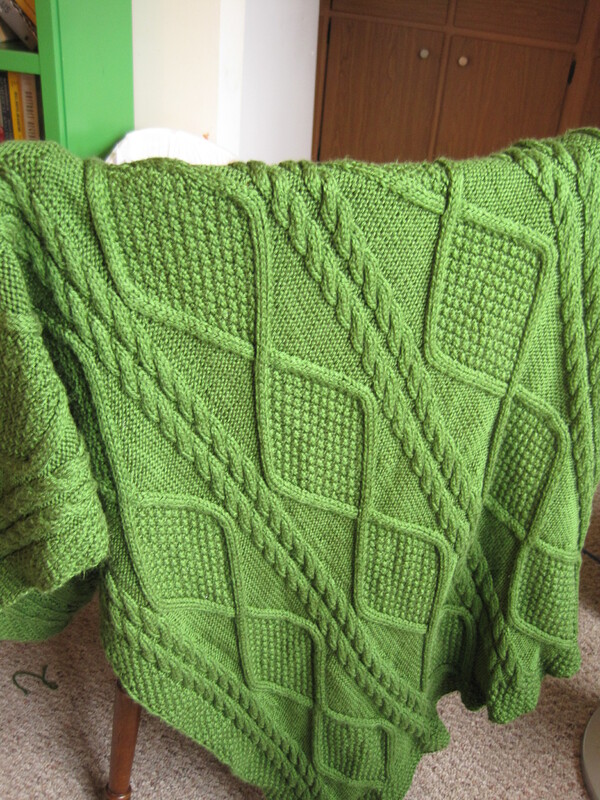 The green monster, six of seven repeats finished. Also, in preparation of Tour de Fleece, I’ve reached a stopping point on the spinning projects I’ve been working on. Plied yarn and singles, Coopworth fiber. On the big spindle is three-ply yarn ready to be finished when I get home, and the smaller spindle is as full of singles as I wanted to make it. I’ll wind the singles off of it this week so I can start my TdF project on Saturday. 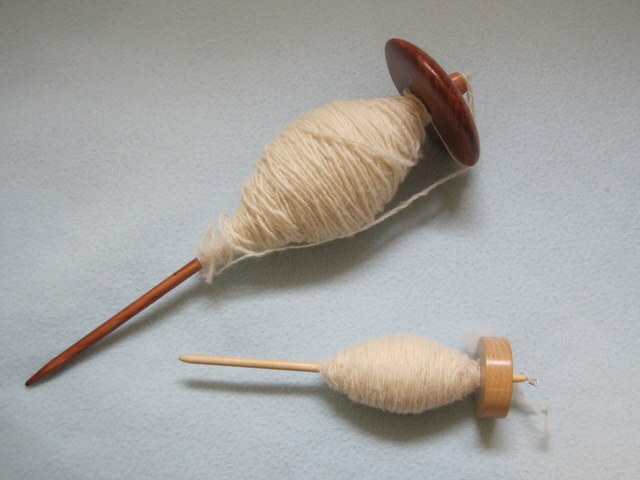 For anyone else out there looking to start spinning, I’ve been learning from Respect the Spindle (and the author Abby Franquemont’s youtube videos) and Spinning the Old Way (apparently only available as an ebook). I would recommend both of them.